The holiday season provides members of the New Dominion Chorale with the perfect opportunity to share our joy of singing. 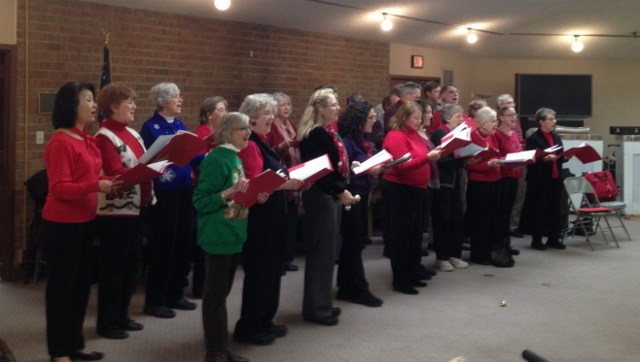 During the holidays, many members volunteer their time and their hearts to perform at a half-dozen nursing homes and senior residences in the area. The repertoire is primarily familiar traditional holiday songs and the audience is invited to join in - we always get an enthusiastic response! We also perform some of the pieces from our holiday concerts, including our conductor Thomas Beveridge's arrangement of Spanish carols or excerpts from Bach's Christmas Oratorio. We look forward to these holiday visits each year, and they bring us as much pleasure as they do our audiences.